@Baron23 hells yeah, not entirely sure how these guys would explain away a gas mask bong littered amongst the debris after the impact if they are even able to talk. The visuals of what was being described was wicked. Christ man, I had close calls when I used to smoke cigarettes. Sometimes they’d make my eyes water up too much or sometimes I’d go to flick it out the window and the damn thing’d stick to my fingertips or gloves or the cherry would and id start to burn or i’d flick it and the window’d be up and my floor or area near the where the seat and floor meet would start to burn upon impact.. my hand would be trying to find the damn thing burning me as I’m trying to maintain straight and downshift.. not really going straight anymore. Mannnn.. yo f cigarettes yo. If someone’s in the car with me when it happened, it made it that much worse.. one of those stop screaming I’m scared too type deals. Yo, so that whole gas mask thing sounds equally wild. I particularly liked how we're going to grow it in a bucket with yeast from now on. I like the Theiron, but the Wismec is good. That wismec is waterproof and has a speaker built in. That’s pretty awesome right there. 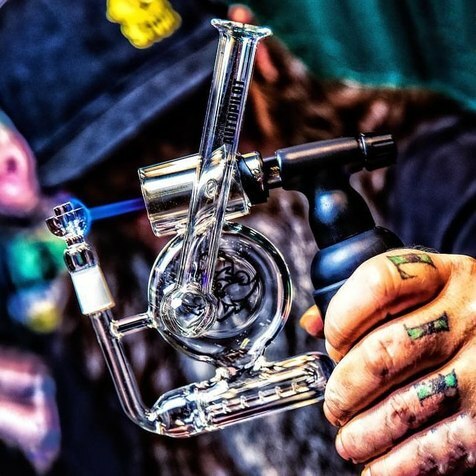 I’ve never seen any vapes that have that capability. I fell outta the rebuildable mod game awhile ago when I started getting reactions outta the juices. I don’t think I’ll ever be able to go back. Straight chemical burn type nonsense occurs. Yo, what you got there is really pretty too. I didn’t know they made them like that. Makes me wish I still played with them. They seem to have developed an oil cartridge battery similar to the Jupiter L9 where the cartridge slides in at the top. It's a cool design, but not as cool as the Palm IMHO. I reached out to Vessel yesterday hoping to get some samples to put in the hands of reviewers and forum members. No response yet. They have great website, I like their branding, and they make a lot of claims of excellence but I’m curious/nervous to find out if that all holds up. 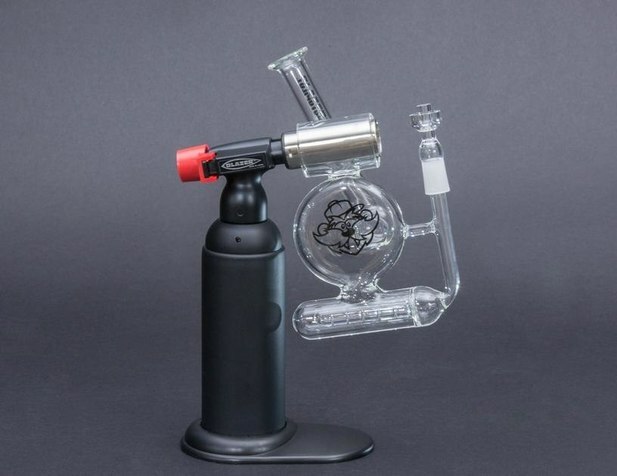 On a side note, any idea when you guys will get the Yocan UNI in for sale? A customer did ask for that but I don't know much about it yet. What do you like about it? I'll look into it and will do what I can to have it on VPM within two weeks. It's adjustable to fit different width/height carts. It might be gimmicky, which is why I'd like to try one, but they might be good. 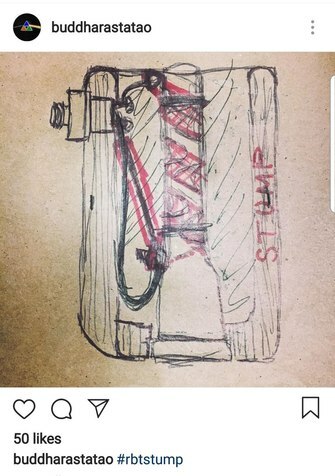 I've see different batteries, a lot of them seem to be trying to be stealth, like some that are keychains with a flip out cart, and one even had a switchblade type action, and one kinda like the UNI, but without the width adjustment. If it looks a little more like a normal mod, it's a bit better for me in the stealth department. Don't get me wrong, the palm and pckt are small, but people see that and are like hey that's not a normal vape. Even a cart on a box mod looks less interesting to people. bubble hash normaly is made with ice and water. this one with dry ice he tryed? i´ve heart its hard to press? I swear it was bubbling. I know the water/ice method. Nice, that does seem like a cool concept to have an adjustment for width/height. I've put in an order with my guy in China. Also an interesting perspective there on vapes like the Palm being almost too unique as to draw unwanted attention! I don't think the saber is a vaporizer. I think they lied in parts of the video saying it vaporizes your material and the laser is only used for ignition. 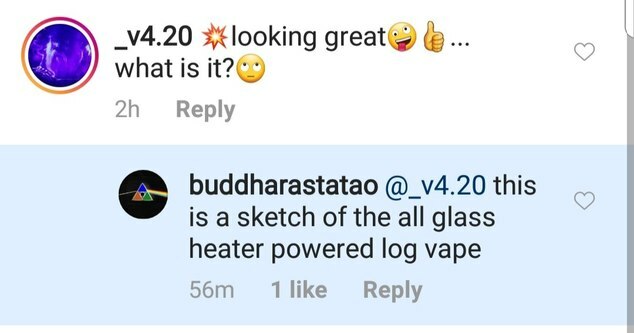 I may be wrong about them lying and it was the herb.co people who got it wrong but I'm pretty sure it won't be a vaporizer. Listen to 15:00 to the end. 2018-2019 Something is brewwwinnnggg. "Now we are expected to run businesses..."
I spoke with someone at Boundless and in 2 months they are coming out with a vape totally different than the Terra. I am very eager to find out. Exciting Company. Rbt is continuing to make new products. I hope this one comes to market. This was on instagram this morning. I will be out at Champs with him and a few other friends this year (Las Vegas in February). He may even have another surprise if he can get it ready in time. Should be a blast @shaywhitegrow ! Hopefully, the rumors of 3-4 companies, closing shop are not reopening. No offense....anything is better than the Tera. BL is just an output for the big manufacturer in China....Sims I think? I won't be holding my breath on anything from them. thanks for the interesting post man :up: it's an elaborate conduction vape I think? I wonder what became of it. hmm.... 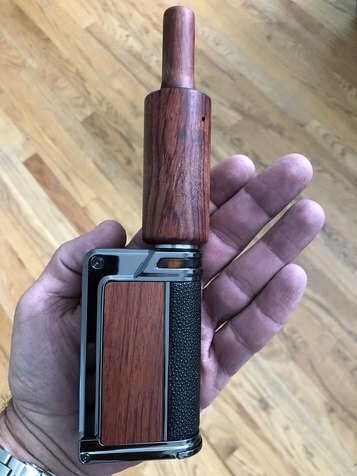 I think might be an induction vape. "It's an induction coil that heats a brass+steel tube inside the coil (the tube protruding from the top)"